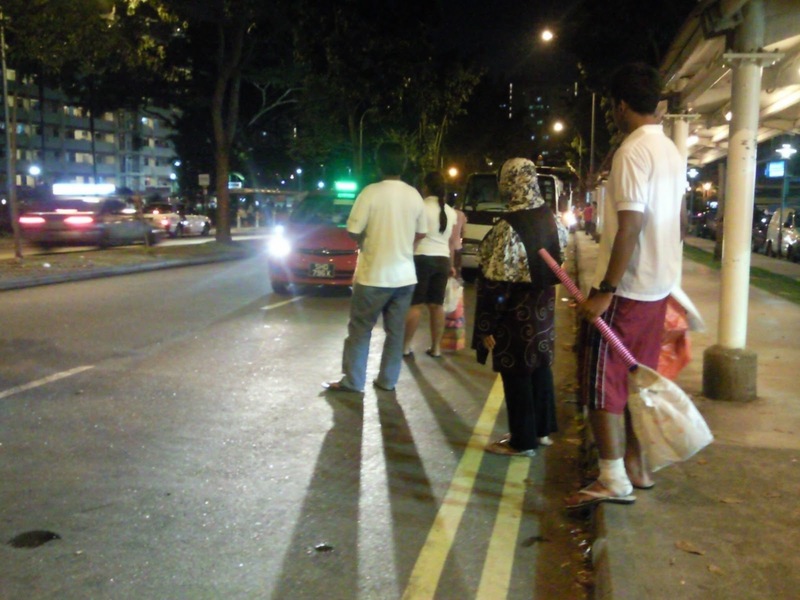 Many elderly residents and the younger ones in Boon Lay often find it difficult to cross this road safely, especially at night ! I have also seen residents pushed their friends on wheelchairs struggling to cross over to the beautiful park leading to Blks 207 to 211. Its like a hungry snail crawling for a meal over to the opposite green pasture. Can be very clumsy and dangerous at times! The reason could be mainly due to bigger vehicles parking along the double yellow-lines and thus blocking the views of commuters who are trying to cross over to their homes opposite, often-times you can see necks stretching out to see what's behind the parked-vehicle until we are almost gonna be a giraffe. The lights condition on the roads here can be quite dim and "warm" at night, making it more challenging for us to guage whether is it safe to cross over. Its like wearing a pair of sunglasses on a sunny day. I know of many residents friends who can't see well due to old age or diabetes, so maybe present an issue. We hope the RC, authorities can build a temporary side parking-lots for these drivers who need to get their things from the shopping center. Or maybe build a bridge/ underpass , traffic lights in front of BLSC? If there's any better suggestions, pls feel free to jog down your constructive comments below this blog. wrong route to former Savoy and MacDonald in the day.